Citrine is a yellow variant of translucent quartz. The yellow color is caused by trace elements, whereby in particular divalent and trivalent iron play a role. Citrine is the rarest type of quartz and is one of the few gemstones that occur naturally in yellow. The stone is because of the color named lemons. 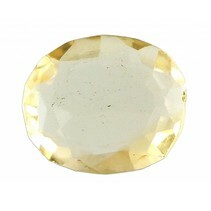 However, natural citrine rather pale yellow with darker shades than lemon yellow. Citrine is also heated to a brighter yellow color, often arise therefore reds. By heating amethyst citrine also creates with all this gives mainly a dark color and speak with roasted citrine, amethyst or burned. On this page you will find many natural citrine, but also a selection of roasted citrine and some heated acted citrines. Citrine has the following properties: Physical causes citrine energy and strengthening the body. Emotional for joy and emotional balance.